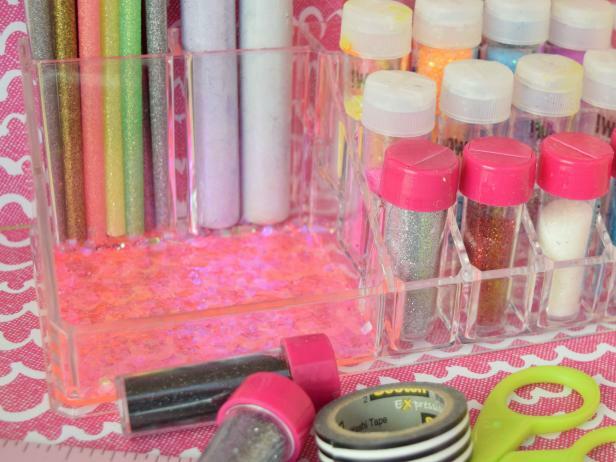 Learn how to customize a plain dollar-store caddy with confetti, glitter and beads. 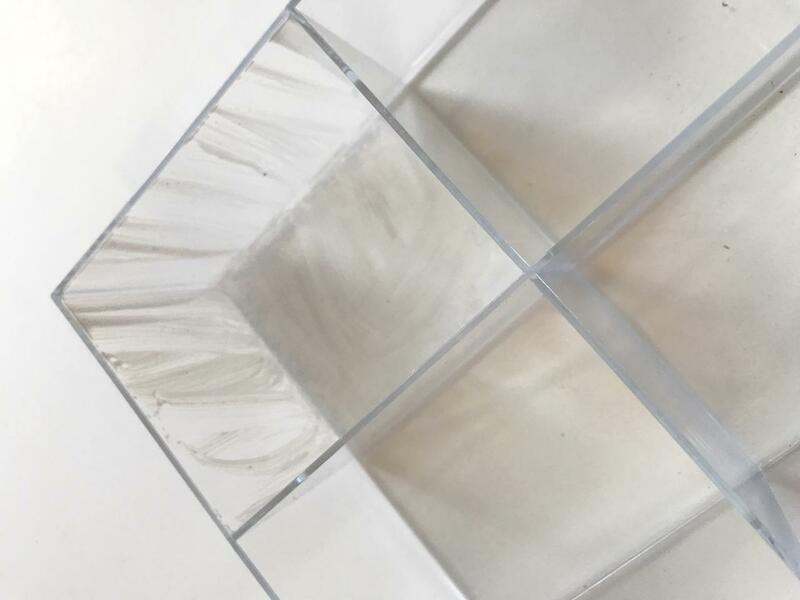 Clear acrylic trays are a dime a dozen. You can find big ones, tiny ones and some even have compartments. Handy yes, but also a little boring. With the help of some decoupage medium you can fix that. Glitter, beads and confetti are just a few fun ideas for upgrading these clear storage solutions. 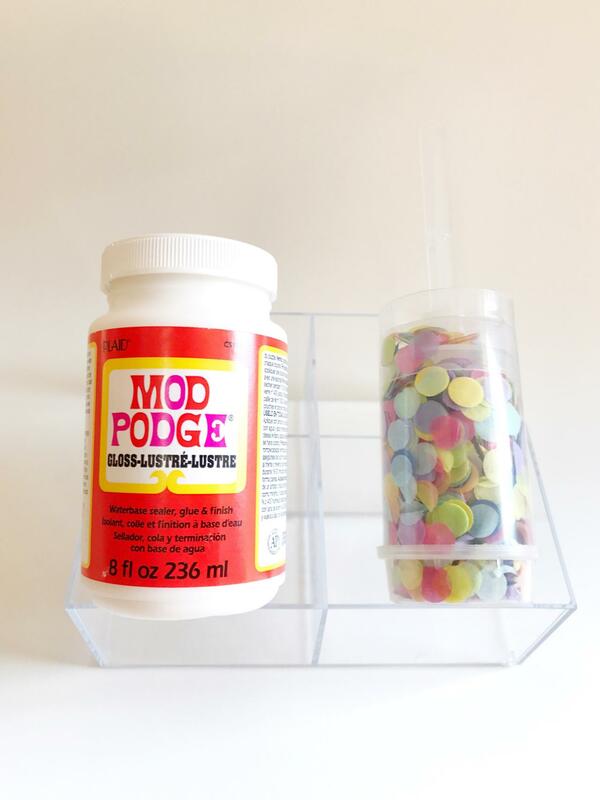 Once you start thinking about other options (sprinkles!) 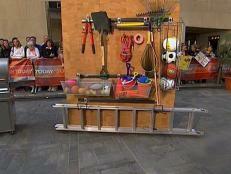 you will be giving a makeover to every clear item in your home. Check out the episode of DIY This With Jennifer Perkins all about making over clear acrylic trays. The texture of something small like seed beads make a once blah tray into something visually interesting. Seed bead mixes come in several different color combinations. 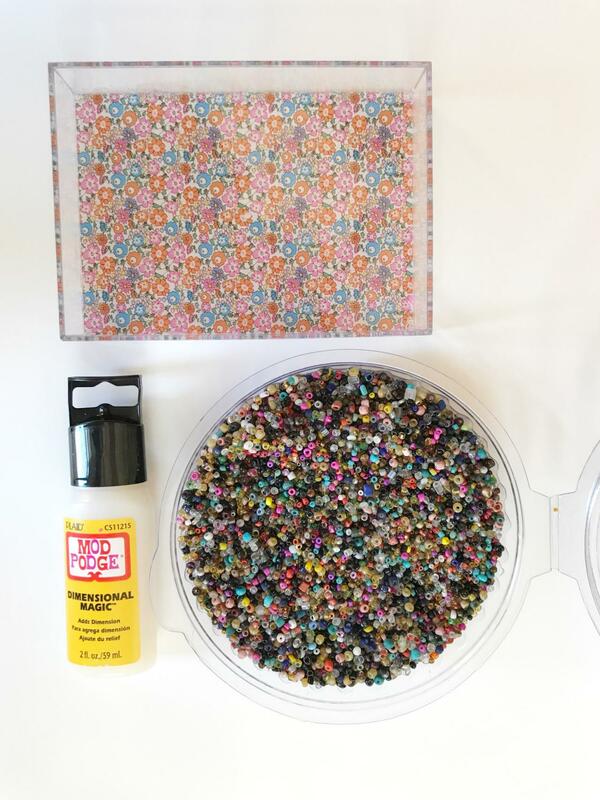 Sprinkle a layer of beads into an acrylic tray. Cover with a thick top coat medium. Allow to dry overnight. 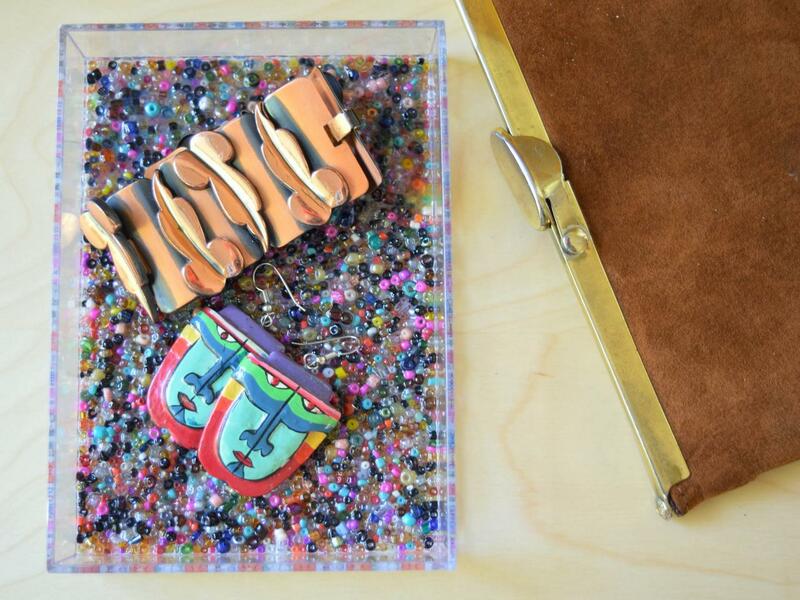 Glitter is not just for kids crafts. 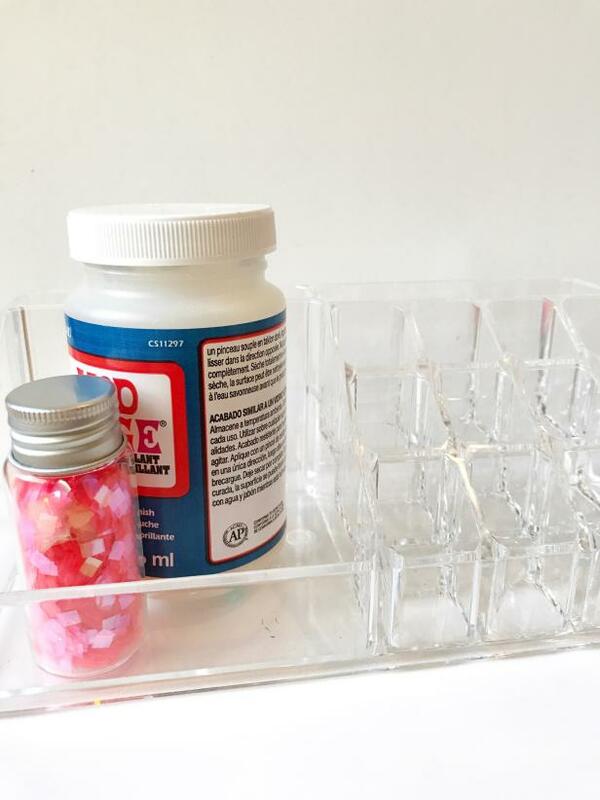 Chunky, sparkly, millennial pink can make what was once a plain makeup organizer pop. Coat compartments with decoupage medium. 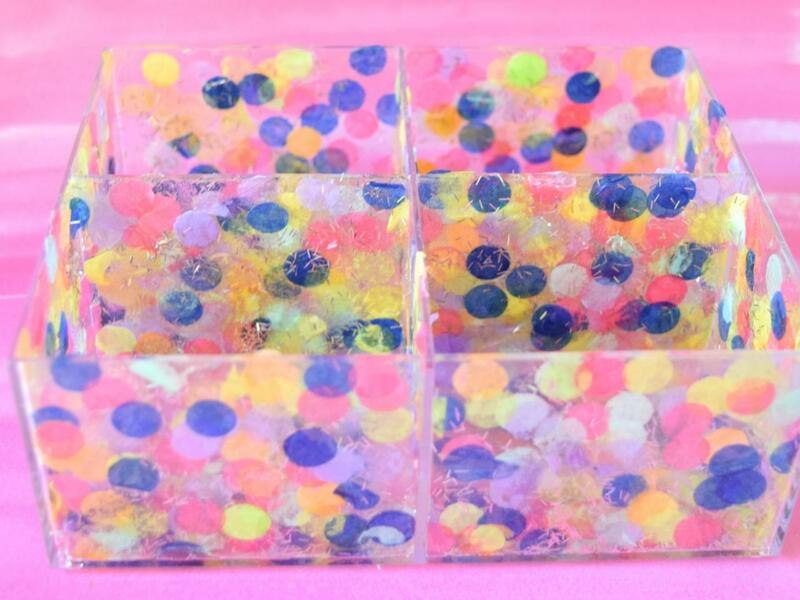 Sprinkle glitter while medium is still wet. Allow to dry completely and add a top coat. When you use an item with sides you really get to have some fun. 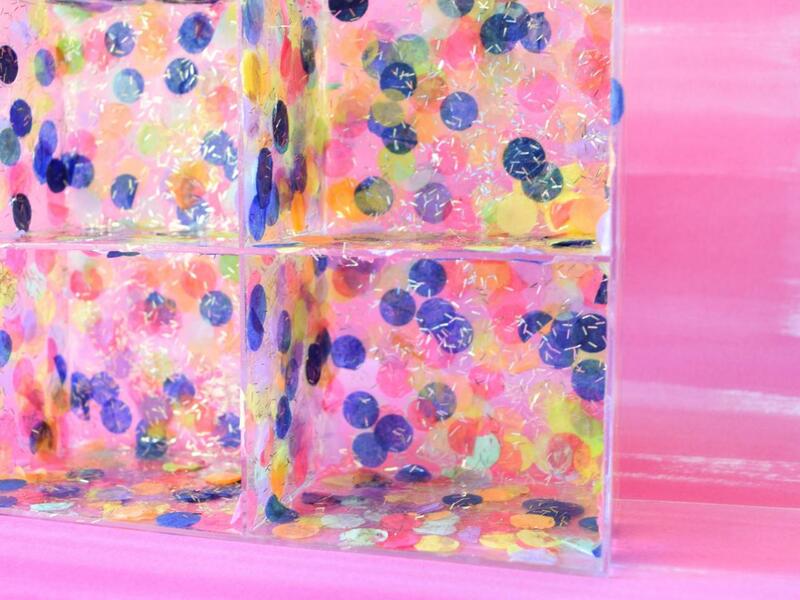 Confetti is a great choice for these options because the random pattern will allow for some of the acrylic item to remain clear. Coat the item with decoupage medium. While the medium is still wet sprinkle in confetti. Allow to dry and add a second coat of medium. 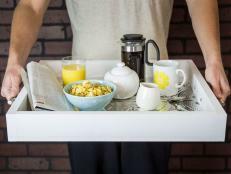 It’s like a party with confetti each time you use your new tray! 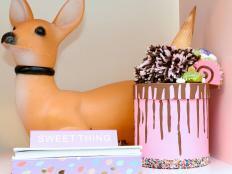 Make a gift box or trinket box that looks like a cake with a melting ice cream cone on top.